Heart Failure From Selenium Deficiency- Is That Your Problem? Did you know that Heart Failure from Selenium Deficiency is quite well known as one of the causes of congestive heart failure? This is so well known that it is called Keshan disease after a province in China that has very low levels of selenium in the soil. In the area, a disproportionate number of people got heart failure until the inhabitants began to be Supplemented with Selenium; whereupon the cases of heart failure dramatically declined. Other populations known to get heart problems with selenium deficiency are Statin Drug Users and those with the HIV virus, both of which deplete selenium. It was even noted that otherwise healthy People with HIV had low CARDIAC Selenium Levels, predisposing them to heart failure and Cardiomyopathy that Improves with Selenium Supplementation. In infants born in areas of selenium deficiency, Keshan Disease is a well-known cause of Pediatric Heart Failure. But outside of these distinct populations, doctors don't seem to think that heart failure from selenium deficiency or curing viral infections with vitamins is even a possibility. Doctors seem to think that in western 'first world' countries, only people with HIV or those in areas with KNOWN selenium deficiency could possibly have low selenium levels, but research shows that selenium deficiency is quite common- particularly in the elderly- and the elderly get congestive heart failure MUCH more frequently than the rest of the population. This substance, glutathione, is a very powerful antioxidant that protects the heart from the 'free radical' damage that causes aging in every part of our body, helps us to detoxify, and is a vital part of the immune system. Heart Failure from Selenium is an Infection! As mentioned above Heart failure and selenium deficiency is NOT JUST a vitamin deficiency though. It was actually found that this particular form of heart failure is actually due to a VIRAL infection of the heart! It's true. Heart failure from selenium deficiency actually has a dual nature where a viral infection is allowed to flourish when selenium is deficient. In fact, many people carry this virus harmlessly in their bodies, but in the presence of selenium deficiency- the virus actually MUTATES into a more dangerous virus! 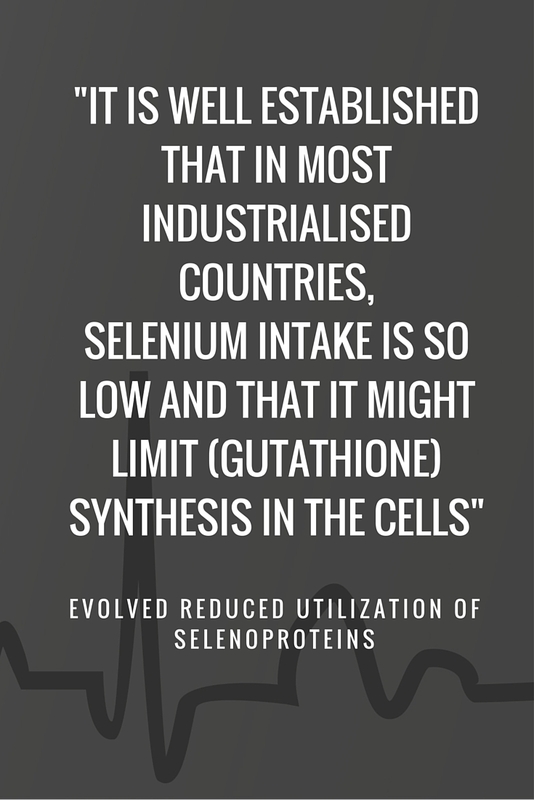 The Facts about Selenium show that deficiency NOT ONLY changes the immune system, but it ALSO changes the virus. Really, this is an incredibly serious finding that has not received much press- despite its implications for OTHER viruses as well- particularly since the Influenza Virus Becomes More Virulent When Selenium is Low. While it may not be particularly surprising that Keshan Disease is caused by a virus, what IS surprising is that, as long as the heart is not damaged beyond repair, the viral infection that causes heart failure from selenium deficiency is REVERSED by the administration of selenium! Read that again because this is really big.. this VIRAL INFECTION is CURED by selenium! Yet doctors tell you that nutritional status is not important in diseases, and will even go so far as to tell you that viral infections cannot be cured with nutrients. While doctors COULD say that Heart Failure from Selenium deficiency is the one exception to this rule, it is not the ONLY exception. Between the years of 1991 to 1993 in Cuba, there was an 'epidemic' of a painful nerve condition called neuropathy that was found to be caused by a viral infection. And this Epidemic Nerve Condition Was Cured Through Vitamins to people who were hospitalized with this condition AND it was prevented in the rest of the population when the government handed out simple Multivitamin Supplements as a public health initiative. 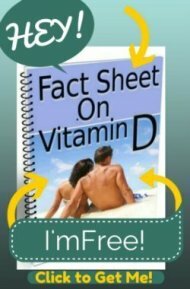 So, if your doctor tells you that Vitamin Supplements cannot prevent or cure any disease, this is ABSOLUTELY FALSE and you can cite the cases of Heart Failure from Selenium Deficiency and the viral neuropathy epidemic in Cuba as absolute proof positive that Vitamin and Mineral supplements can not only cure some disease states, but can also cure viral infections. With these incidences in mind, I wonder what else Vitamin and Mineral Supplements prevent and cure that we just don't know about!